I love working as a Baltimore engagement photographer! Baltimore is one of the most beautiful cities for portrait photography, because there is just so much variety in Baltimore! Baltimore has several neighborhoods where I have photographed engagement sessions for Baltimore weddings. The Inner Harbor is one of Baltimore's most popular neighborhoods. With a great water background and many popular buildings, the Inner Harbor is a great place for a Baltimore engagement photographer to work! To be honest though, I prefer to get a bit more off the beaten track, and have photographed Fells Point engagement sessions, which offer both waterfront and neat historic buildings. Many couples meet during a night out in Fells Point, so an engagement portrait session there makes perfect sense! If you head north, the Roland Park area is another beautiful location for a Baltimore engagement photographer to work! With gorgeous mansions, tree lined streets, and quiet green space, this neighborhood has something for everyone. If you like Baltimore's more industrial side, there are some fantastic options for those locations as well! I know some pretty fantastic hidden locations with great character, old brick work, and industrial backdrops that are absolutely vintage Baltimore. Please contact me to talk about your Baltimore engagement photography. I would absolutely love to talk with you about your aesthetic! 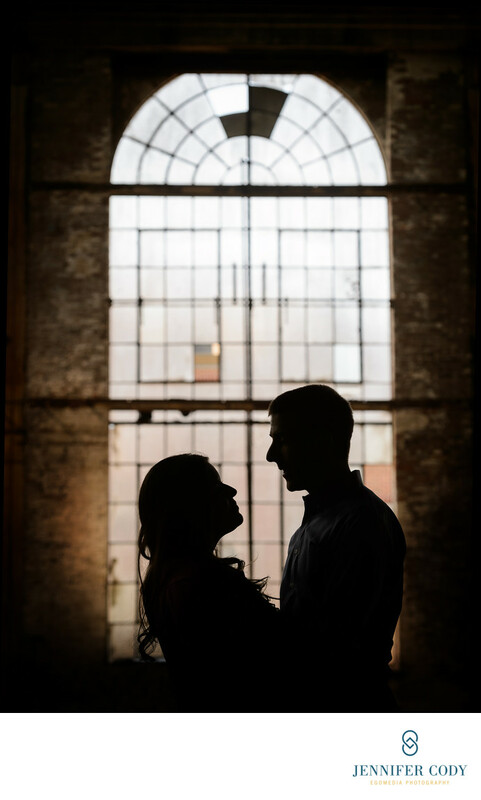 We'll find the perfect place for your Charm City engagement session. Location: 1500 Union Ave, Baltimore, MD 21211.